Cici’s Pizza Coupon: How to Earn a FREE Adult Buffet! Who needs a Cici’s Pizza Coupon! Who doesn’t love Cici’s? Mmm, I love their spinach alfredo pizza! Cici’s Chicken Bacon Ranch Pizza is also a personal favorite. My mouth is watering! I even like their salad bar. I so wish we had a closer Cici’s Pizza! 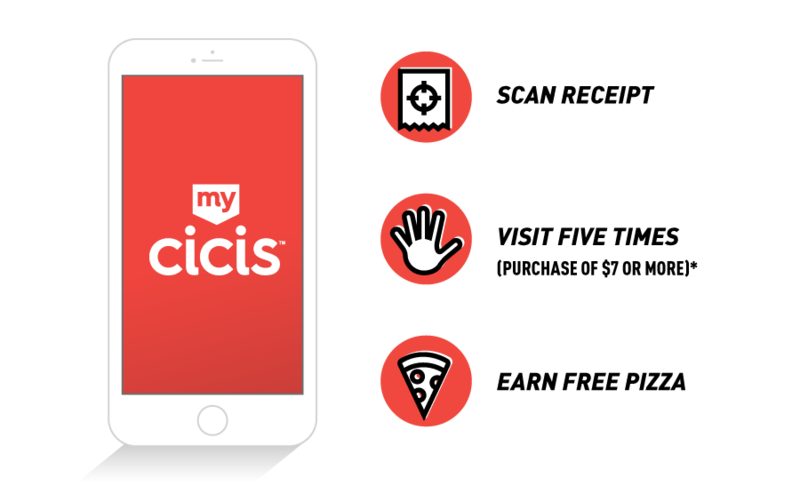 To take advantage of the deals and Cici’s Pizza Coupons available you will need to either download their iPhone or Android app. OR if you do not have a smartphone, there is a form on the bottom of this page you that you can fill out to be sent Cici’s Pizza Coupons via email or text message. 5 visits of $7 (pretax) or more gives you a FREE Adult Buffet or a FREE 1-Topping Pizza to go! I just signed up and just by linking my Facebook to the app, I received a Cici’s Pizza Coupon for a free adult beverage! Want more great deals like these Cici’s Pizza Coupons delivered to your mailbox every day? Stayed updated on the next hot Cici’s Pizza Coupon! Are you looking for more restaurant deals? I try to post restaurant deals whenever I see them! I love going out to eat and really love getting a great deal when I go out to eat. You can eat out for less, just be sure you are following me! Also, if you are looking for a lower carb alternative to pizza, try my version of Fathead Pizza! Follow me on Facebook, in my Facebook group and Twitter to be sure you always hear when Cici’s Pizza is having great deals and specials!